The Summer Term is over and the BSC campus is getting ready for all the new and returning students. Starting on Monday, July 30, the BSC Library will be open Monday through Friday from 8 a.m. until 5 p.m.; it will be closed Saturday and Sunday. When classes start on Wednesday, August 29, the Library will resume it's usual schedule. In the meantime, stop by the library and pick up a few good books to keep your mind entertained and sharp until classes start. This year's recipient of the BSC Library Art Purchase Award is Morgan Rusby, who graduated from Birmingham-Southern this spring with a BFA. Her colorful and original pieces, "Southern Bento" and "Sushi Bar" (pictured below) were acquired by the BSC Library in May. They are on display on the ground floor of the library, along with other inspired and inspiring works of art by BSC students. The BSC Library Art Purchase Award is funded through our used book sales, which enable the library to purchase at least one outstanding piece of art from the Juried Student Art Exhibition each year. Thanks to Morgan and her fellow BSC artists, the library is slowly becoming a more interesting enclave! 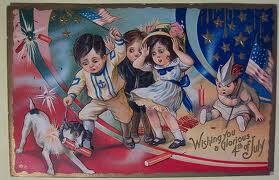 All BSC Students, faculty, and staff will be away from campus enjoying the National Holiday on July 4. 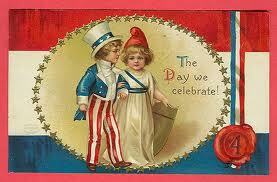 The Library will be CLOSED all day Wednesday, July 4, 2012. Tuesday, July 3 -- 8 a.m -- 10 p.m.
Thursday, July 5 -- 8 a.m. -- 10 p.m.
Friday, July 6 -- 8 a.m. -- 5 p.m.
Saturday, July 7 -- 1 p.m. -- 5 p.m.
Sunday, July 8 -- 2 p.m. -- 10 p.m.